Joburg based property development investment company Fortress REIT has partnered with startup campus 22 ON SLOANE to award 25 companies each with R50 000 seed grants. The grant recipients include a startup that uses artificial intelligence (AI) in the car industry, an enterprise in the aviation sector as well as fintech, edtech and healthtech startups. Of the grant recipients, 15 operate outside the tech startup sector (being a publication that is focused on tech startups, we’ve listed only the tech-related firms that were awarded grants — the names of the 15 non-tech firms are at the footer of the story). Auto Advisor (Murali Naidu): Auto Advisor uses AI to help consumers to make more informed decisions on car purchases, dealership choices and maintenance costs and to promote choice by allowing consumers to voice and share their experiences on a trusted community-based platform. Khamzimla IT Solutions (Simphiwe Nkula): Khazimla IT Solutions, through its Info Trade app, provides an integrated, mobile point of sale solutions, order management and cashless pay solution for informal traders. Anylytical Technologies (Taher Moosa): The company develops software solutions and offers advice on what technical route clients should follow. BMC Firm (Warren Fritz): This startup has developed Health Advisor, an app-based solution for the medical-aid market which improves the healthcare plan buying and the management process for consumers and enhances customer relations between customers and their advisor or broker. Ndidza Aviation Solutions (Tumelo Monyai): Ndiza Aviation Solutions specialises in aviation cartography, flight procedure design, aeronautical survey and geographical information systems. Prime Time Studios (Mqondisi Mhlanzi): This internet-based broadcasting company offers premium television content to paying subscribers across Africa. The channel aims to focus on sports lifestyle content, popular culture, travel, current affairs, films and documentaries — all from an African perspective. Galattica Technologies (George Sindane): This startup provides ICT support to small businesses. Aero 247 (Blessing Ngorima): Aero 247 offers professional training in drone engineering, manufacturing, design, modelling, analysis, coding and repair. Employ Me (Whitney Jacobs): This web application aims to reduce the cost of attending interviews by giving job seekers the opportunity to upload a short video to accompany their online profile so that employers can get an idea of their personality, which is an important factor in assessing their cultural fit. Maphosa Attorneys (Jonathan Maphosa): Maphosa Attorneys is a law firm with unique legal technology interests backed up by a research and development team comprised of lawyers, data analysts and software developers that specialise in AI and its legal practice applications. 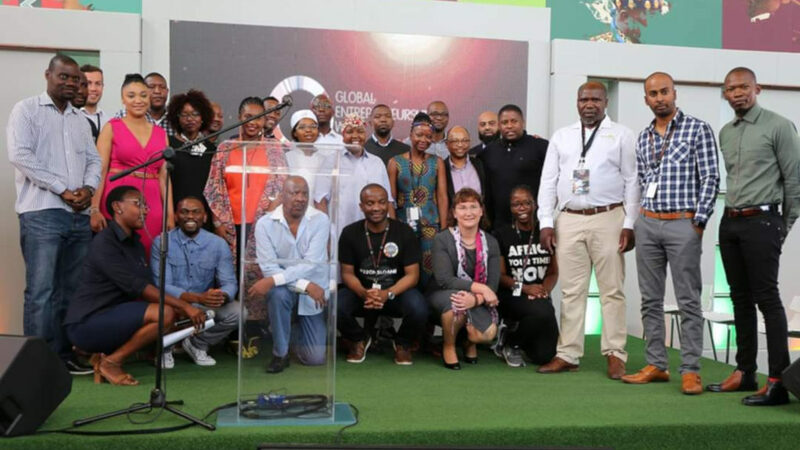 In a statement posted on its website last Monday (19 November), Johannesburg-based hub 22 ON SLOANE said that the 25 — who are all part of the 67 startups resident at the campus — had received the grants during this year’s Global Entrepreneurship Week which took place between 12 and 18 November. The hub claims that the 67 startups resident at its campus boast a combined revenue of $7-million and employ about 250 people. 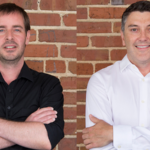 The hub and Fortress REIT’s partnership, which the two entered into earlier this year, aims to help SA startups scale and will see the property investment company provide seed grants as well as access to technical support to 22 on SLOANE’s 2019 intake (Applications for which are open and can be made here). Commenting in the same statement, Fortress REIT’s Jodie Ellinor-Dreyer said the awarding of the grants “is just the start” and that the company hopes to support more black businesses. The campus was launched last year by the Global Entrepreneurship Network and aims to assist entrepreneurs with a “360-degree turnkey solution” which will help entrepreneurs turn their ideas into viable businesses. Ventureburn sought comment from 22 ON SLOANE on what criteria had been used to select the 25, as well as on the impact the campus has had since its launch last year but had not received a response by the time of publication. The names of the 15 non-tech firms which were also awarded R50 000 grants are: Basotho Heart, Setsumi Agency & Trading Enterprises, Ditsogo Projects, Arnot Ash, LukArts, Magumuza Foods, African Make, Phola Table, BizNiz Africa, Sweet Gift Catering, Rejanela Farms, Digital Display Technologies, Dlloyd Creative Enterprise, Matoyana Consulting and Thaga Engineering.